When the first rays of sunlight rise above the horizon, the beehive slowly wakes up. Hierarchy and diligence are vital for the wellbeing of the whole swarm. So you check your wings, measure the antennae degree of deviation, take orders from the Queen, and bee-gin your first independent mission. And that s just the beginning of your adventures. Suddenly, you learn that people want to cut down the tree that holds your hive. Now your fate and the fate of your whole family lies in your small, agile legs and fast wings! 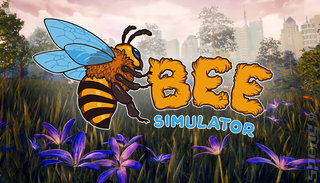 a) Single-player story mode presents you with a family of bees. Can you save the hive from the threat of human beings? b) Exploration mode allows you to freely discover a world inspired by Central Park in New York. c) Split-screen mode can be either used for cooperation or competition. It includes three additional maps that make the game even more fascinating. Relaxing music composed by Mikolaj Stroinski, who was responsible for the soundtrack of such games as The Witcher 3 and The Vanishing of Ethan Carter.